RIO DE JANEIRO, BRAZIL – Bureaucracy in Brazil is so widespread and extensive that a term was created to denote the difficulties and delays businesses face in the country, ‘custo Brasil’ (Brazil Cost). A new study by the World Bank confirms the efficiency problem, showing that Brazilian companies need fifteen times longer to pay tax authorities than their European counterparts. 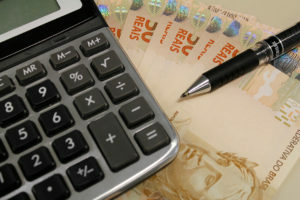 Companies in Brazil need to work longer to file their taxes, photo courtesy of Agencia Brasil. Businesses in Brazil spend on average 2,600 hours on filing their taxes according to the World Bank. This is three times more than in Venezuela and fifteen times more than what countries in the European Union need. In France for example 137 hours are needed and businesses in the UK spend 110 hours on their taxes. Furthermore, due to many rules and regulations Brazilian companies spend on average fifteen days more to export a product than companies in other countries. “There is a lot of talk about the cost of bureaucracy, but there is also the time factor (that bureaucracy imposes) that in a scenario with high interest rates brings further losses to the financial management of companies,” Maria Alejandra Madi of Unicamp explained in O Globo. “When you live in Brazil you have to face bureaucracy every day at work or even in your personal projects. Everybody complains, but things will not change so quickly, as the causes are deeply rooted in corruption (if you want to reduce the delay, you pay…) although I don’t want to generalize here too much. When a procedure takes one hour in Europe, it means twice the time in Brazil, so this greatly affects doing business in the country,” Mathieu Piques from Europartner told The Rio Times. Brazil ranks 120th in another World Bank study of 189 countries, which lists countries according to the ease of doing business in 2014, with higher rankings (low numerical ranks) meaning that the regulatory environment is conducive to business operations. In 2013, Brazil had been ranked 123rd. The study shows that it takes 103 days to open a business in São Paulo, while in Mexico City it takes six days. Brazil ranks behind places like Honduras, Zambia, Lebanon and Nepal. This results in just eighteen percent of Brazil’s GDP coming from investments, the lowest rate among the biggest developing countries and less than half that of China’s, according to the World Bank. “Taxes, tax administration, low labor skills, [many] labor rules: It is very difficult to change the current situation, because there is not a single reform that will solve the problems of all sectors of the economy. It is not a purely technical issue. The country needs a strategy, develop a process to gradually improve conditions, similar to what Colombia did since the second half of the past decade,” Fernando Veloso, researcher at FGV said in a conference on the topic. The ‘custo Brasil’ not only hinder foreign companies from coming to Brazil, but also makes life more difficult for Brazilian business and even government infrastructure programs. I know that what I am about to say is less about the bureaucracy of doing business in Brazil and more about the personal side. The bureaucracy is extremely disheartening and certainly makes one wonder how Brazil even continues to exist. I have to change my address listed when I received my Permanent Residence Visa from one in the US to my address here in Brazil. This is in order to have my household goods shipped to Brazil. Went to the Recita Federal this morning only to be told that I have to go to the post office to obtain the form and then return tomorrow. Once I arrived at the post office I was shocked to find a waiting room full of people who had already pulled their number and were waiting to be called. Once I was called the attendant pulled up the form to change my address and then charged my Just over R$5 Reais. To get my household shipment ready I had to provide a actual boarding pass to show how I arrived in Brazil, even though my passport was stamped and I had the Brazilian Required Entry Card stamped by the Federal Police……Really, a boarding pass? And then I had to go to another place and stand in line to have the boarding pass notarized! By the time you get through jumping through all of the bureaucracy you begin wondering why I chose to live in Brazil and spend my good money! David: my sympathies. Why bother? Brazil is a beautiful country inhabited by a deadly bureaucracy. ‘Educated’ Brazilians aspire to call the shots in public administration and large state corporations, where they can keep their hands ‘clean’ and make Hell for the rest of us. Meanwhile, the poor and the uneducated pass their days with dreams of winning the lottery and becoming footballers or musicians. Brazil is a poisonous farce and I would strongly recommend that gringos like yourself take their money and dreams elsewhere. As you get to know Brazil, the shine will wear off, to be replaced by weary disgust.